Hypertension. The one word nobody wants to hear from their doctors. If you’ve been diagnosed with hypertension, it means you have a higher chance than most people in getting a heart attack or a stroke. That’s not very pleasant news. 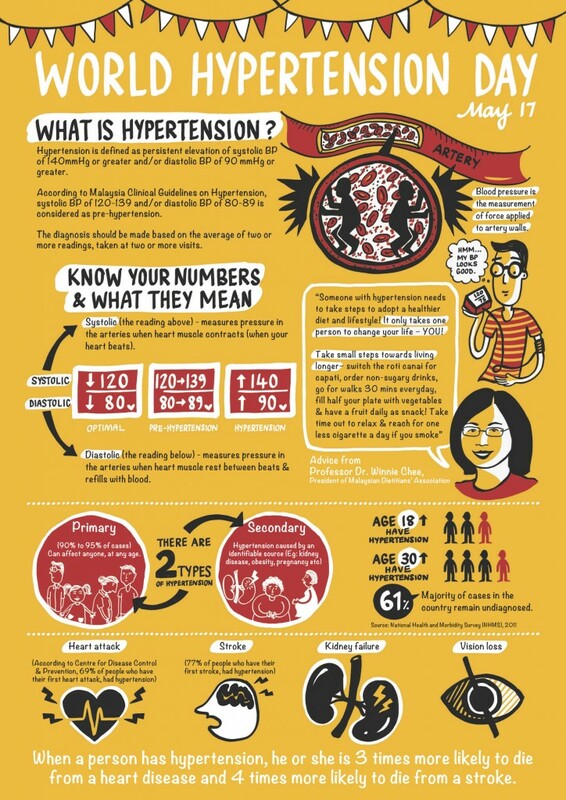 Here in Malaysia, the National Health & Morbidity Survey 2011 noted that 1 in 3 adults aged 18 and above and 1 in 4 adults aged 30 and above have hypertension. 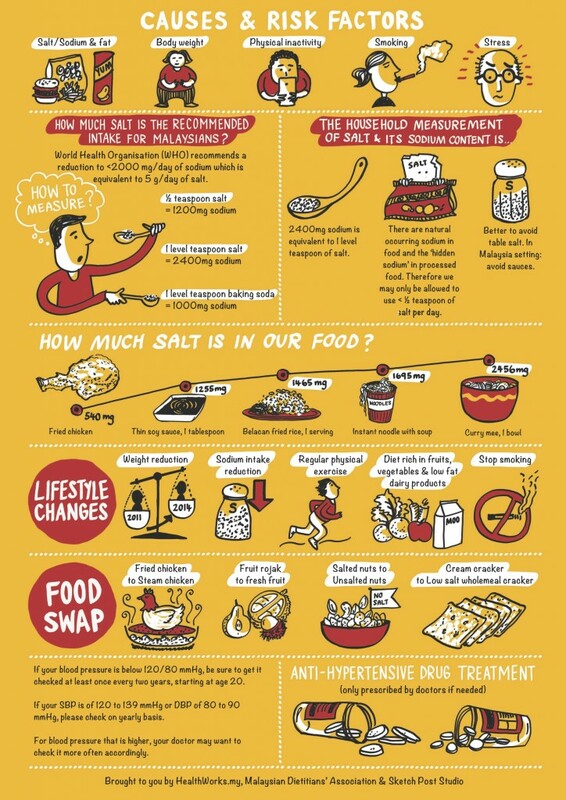 Yet we are still consuming almost twice the maximum amount of salt recommended by the World Health Organisation (WHO). 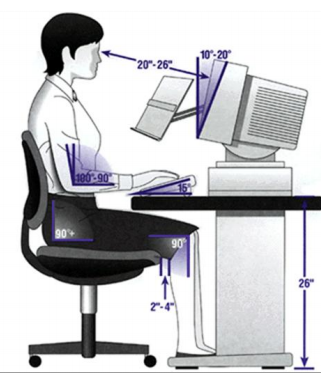 This has been shown to be directly related to high blood pressure! Of course, we’re not the type to heap teaspoon after teaspoon of salt into our food. But the sneaky guy hides out in our sauces. Our curries. Our beloved belacans! The WHO recommends we consume less than 2000mg of salt per day. That is less than 1 level tablespoon of salt. Guess what? A bowl of curry noodles already far exceeds that recommendation! Hypertension may be inherited. But it can also be prevented. Learn more about the condition and how you can prevent it in this infographic. Share this with your friends. As the saying goes – You Only Live Once. 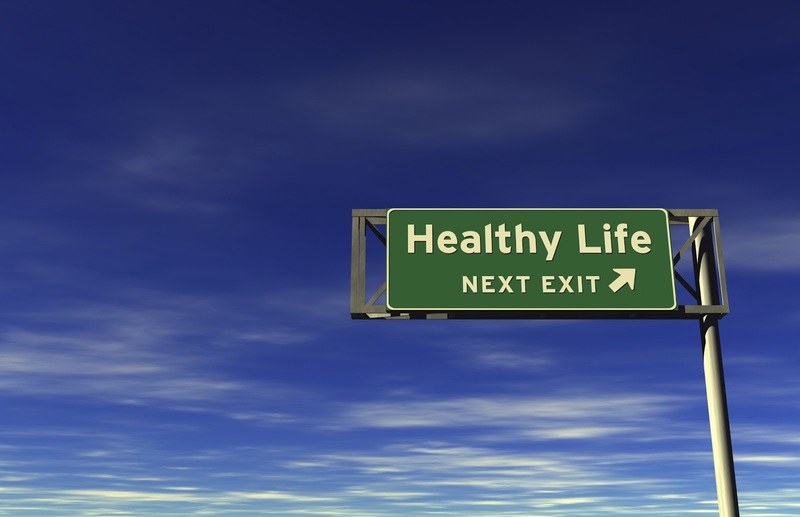 So let’s get healthier together!